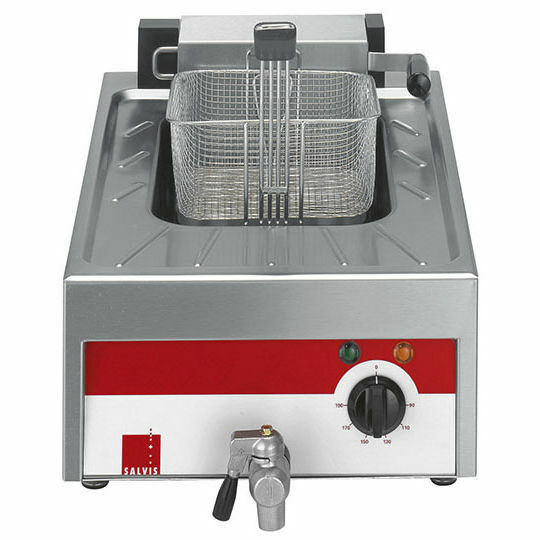 Frying temperature thermostatically adjustable from 100 to 190 °C by means of electromechanical safety control. Suitable for all fryable products. For easy cleaning of the deep drawn basin, the radiator can be pulled out. Frying basket and flat lid included in the scope of delivery.